Richard is the owner of Folkcraft Instruments, which is one of the oldest and most respected musical instrument manufacturers in the country. Folkcraft makes a variety of stringed and fretted instruments, including Appalachian dulcimer,hammered dulcimer, bowed psaltery, kantele, dulcilele, and ukulele. Richard is a teacher, and holds a music education degree from The Ohio State University. Formerly a school band director, now he's an active dulcimer instructor. 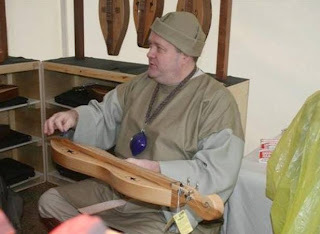 Richard is also the organizer of three music festivals: The Dulcimer Gathering (for hammered dulcimer players); Indiana Dulcimer Festival (for Appalachian dulcimer players); and Midwest Uke Fest (for ukulele players). And finally, Richard is a performer. You can hear him playing the dulcimer at events all over the country. From NAMM shows to dulcimer festivals, old-time music events to demonstration concerts in the Folkcraft concert hall, he's performed pretty much everywhere. Learn the basics of playing the Appalachian (mountain) dulcimer. Richard's focus on right hand strumming will help grow and advance your dulcimer playing abilities. This class will focus on tunes in one of the easiest dulcimer tunings: DAD. You'll learn lots of tunes in a variety of dulcimer playing styles, including noter-drone and chord-melody. No experience is necessary (but after taking this class, you'll have enough experience to keep up with a dulcimer jam!). Don't know how to change your dulcimer's strings? Need to polish up your technique to make your dulcimer look like it was strung by a professional? Then become a professional by learning from a professional! 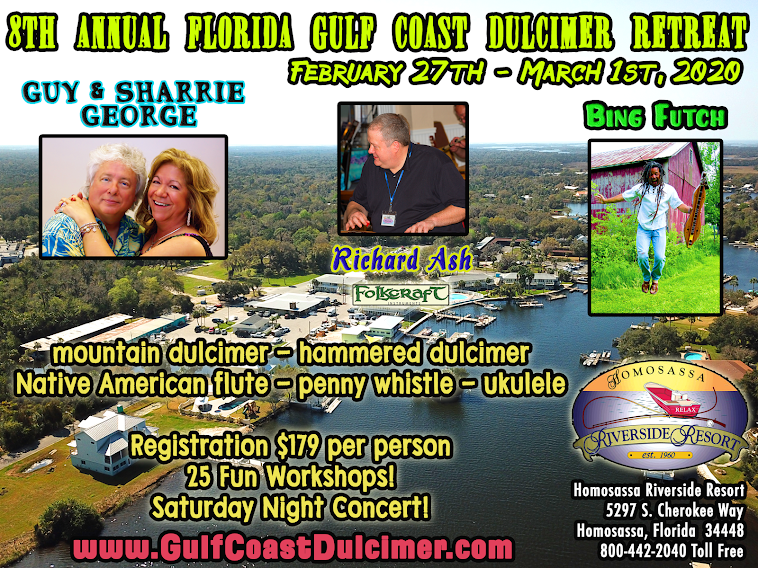 Richard will teach you his tips and tricks for easily and efficiently stringing your dulcimer. Whether your dulcimer has a flat head or scroll head, it will always have tightly wound strings to keep it in tune. Don't know when to change your strings? Learn how different materials (steel, brass, bronze, and various alloys) affect both the lifespan of the string and the tone quality. Choose the right strings for your instrument to give yourself the best possible sounding instrument. The thought of playing dulcimer with a guitar or ukulele player may sound intimidating. After all, they do have all the notes. But the ability to add the dulcimer to an acoustic jam is rewarding to everyone involved! Richard will show you some easy tips and tricks to playing in more keys than (most) dulcimer players usually try. Bring a capo and an electronic tuner (you'll use both), and prepare to bring the dulcimer to a whole new level! Add some old-time music to your repertoire. All tunes are easy to learn, and are in noter-drone style. (You can use a noter, but many contemporary players will use their fingers to go up and down the melody strings.) We'll utilize some of the most popular tunings for this type of music - DAD (of course! ), DGD, DAA, and DAC. This class has plenty of sweet old time melodies for your enjoyment. We will not be using a capo for this session. Learn some repertoire that stands out from the standard dulcimer tunes. Learn a tune in G and enjoy that you don't have to put a capo on your dulcimer. D minor? No problem (and also no capo!). 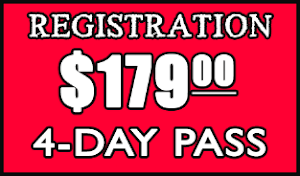 There's a whole world of accessible music just outside the world of DAD tuning - here's your chance to learn some of it! This class has a lot in common with Richard's "Traditional Tunes" class, but both classes stand alone. This class would be a good "part two" to the "Traditional Tunes" offering. Unless you've done it yourself, or have taken your dulcimer apart piece by piece (Richard does NOT recommend this technique), then you probably don't know exactly what goes into making a dulcimer. Most builders use similar techniques, but you'll learn some unique methods on how Folkcraft dulcimers are made. Using photographs, videos, and dulcimer parts in various stages of completion, you'll get a better idea what's inside your own dulcimer (unless you've already disassembled your instrument... in which case, Richard would be happy to show you a new, and fully built, Folkcraft dulcimer! ).